Dolphin House Apartments are situated in the Victoria and Westminster area near..
Dolphin House Apartments are situated in the Victoria and Westminster area near the River Thames, a short walk from popular attractions like Tate Britain Museum, Buckingham Palace, Big Ben, Houses of Parliament and Westminster Abbey. A great choice of local amenities, restaurants and cafes are just around the corner and the entertainment, shopping and nightlife of the West End district is within easy reach. Numerous transport connections from nearby stations such as Pimlico and Victoria provide quick and convenient links to the main tourist hotspots and business centres. 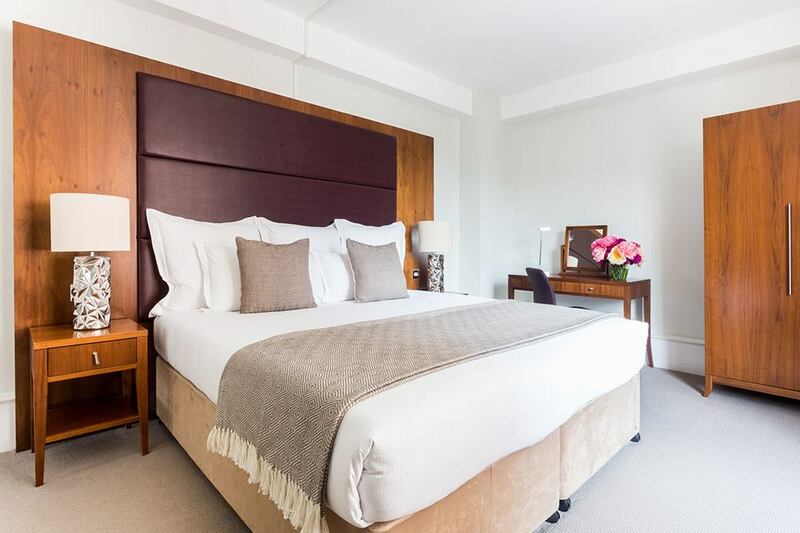 Dolphin House Serviced Apartments are set within a stunning modern development overlooking a beautiful private garden square near the exclusive neighbourhoods of Belgravia, Chelsea and Knightsbridge. 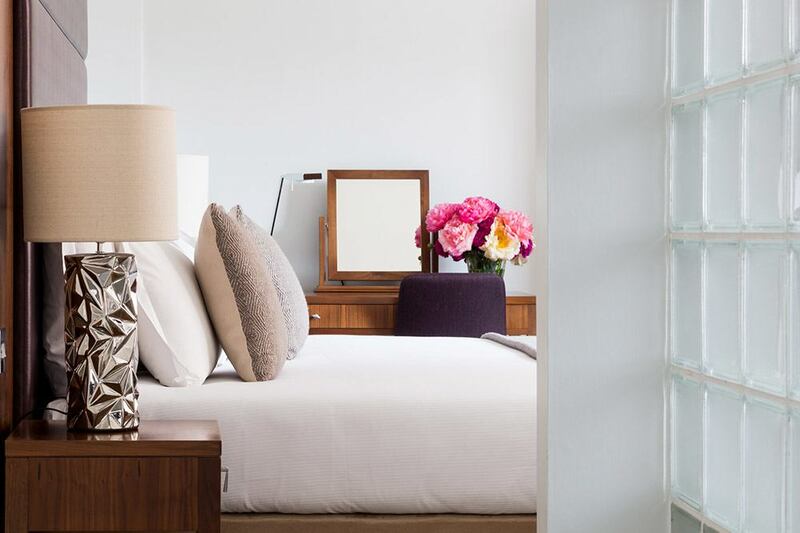 They also boast luxury amenities like goose down duvets and pillows, super king size beds, and furniture upholstered in bespoke, designer fabrics created by Fox Linton and William Yeoward. Spacious living and dining areas, self-catering facilities and work desks all add to the range of desirable home comforts and services. There is an exceptional range of on-site hotel style facilities including a gymnasium with state of the art equipment and studio classes; wellness clinic; and a traditional style shopping arcade with cafe, dry cleaners, mini supermarket, travel agent, hairdresser. Other facilities like squash courts, riverside tennis courts, croquet lawns and a newly opened Moroccan spa are subject to an additional cost. The Dolphin Bar & Grill serve great value food, afternoon tea, drinks and light meals throughout the day and also offer residents complimentary wireless internet access and daily newspapers. On-site secure underground parking is subject to availability and must be pre-booked. Daily maid service, Linen and towel change twice a week. Sleeps two and has a combined living and sleeping area, king size beds (twin beds on request), one bathroom and a fully equipped pantry-style kitchenette. Sleeps two and has a separate bedroom, king size beds (twin beds on request), one en suite bathroom, a fully equipped kitchenette (full kitchen on request) and a spacious living and dining room. Sleeps two and is more spacious than a Standard One Bedroom Apartment and has a separate bedroom, a king size bed (twin beds on request), one en suite bathroom, a fully equipped kitchenette (full kitchen on request) and a spacious living and dining room. This apartment also features a Nespresso coffee machine, daily towel change, bathrobe & slippers and complimentary newspapers. Approx Area: 55 square metres. Sleeps four and has two separate bedrooms, king size beds (twin beds on request), one bathroom, a fully equipped kitchen and a spacious living and dining room. Sleeps four and has two separate bedrooms, king size beds (twin beds on request), two bathrooms, a fully equipped kitchen and a spacious living and dining room. Sleeps six and has three separate bedrooms, king size beds (twin beds on request), three bathrooms, a fully equipped kitchen and a comfortable living and dining room. For stays of 1-14 nights - Notice of cancellation must be received 24 hours prior to arrival to avoid facing a cancellation charge. Cancellations received less than 24 hours prior to arrival will be subject to a cancellation fee equal to 1 night's stay. For stays of 15-27 nights - Notice of cancellation must be received at least 15 days prior to arrival to avoid a cancellation charge. Cancellations received less than 15 days prior to arrival will be subject to a cancellation fee equal to 10 night's stay. For stays of 28 to 89 nights - Notice of cancellation must be received at least 15 days prior to arrival to avoid a cancellation charge. Cancellations received less than 15 days prior to arrival will be subject to a cancellation fee equal to 15 night's stay. Bookings are Non-refundable, Non-exchangeable, Non-cancellable. Full payment is due at the time of booking confirmation. Please note: For stays of less than 15 nights a registration card must be completed upon arrival. For stays of 15 nights and over a Tenancy Agreement must be signed upon arrival. Payment For stays upto 59 nights - Full payment charged to your card 20 days prior to arrival. For stays of more than 60 nights - Payment terms will be discussed at the time of booking. For bookings made at Non-Refundable rates - Full payment is due at the time. Security Deposit For stays of 1-14 nights - Credit card authorisation will be required upon arrival. For stays of 15 nights and over - A deposit of £250.00 per apartment will be required upon arrival to cover any incidental expenses or damages. This will be refunded one week after departure, if no expenses are incurred. 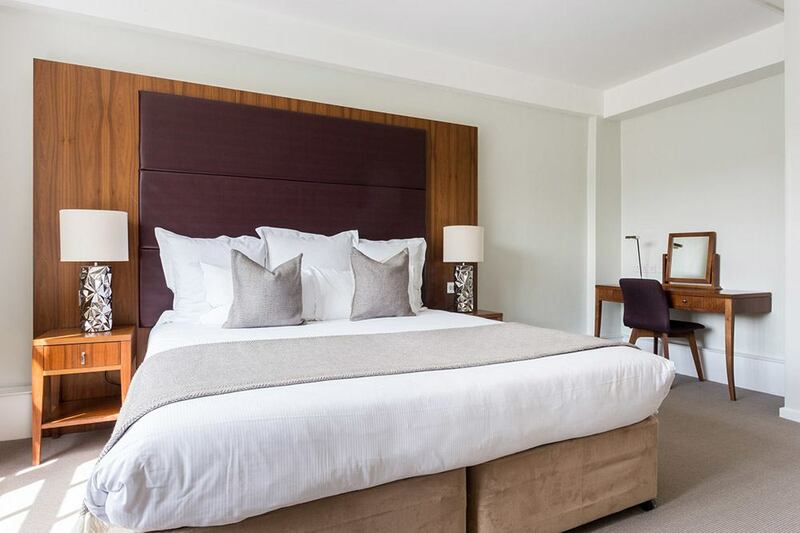 Formerly known as The Dolphin Square Hotel, this magnificent property is truly unique with a history dating back to 1857 and a complex of over 13 buildings overlooking a beautifully landscaped courtyard garden. Pleasant, value-for-money place to stay. 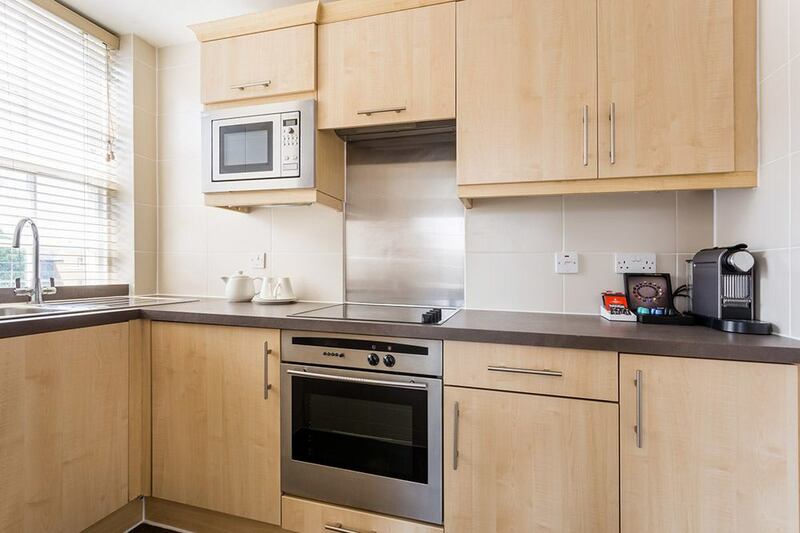 Really nice flats with services to match and a superb range of property facilities. Will definitely stay here again. 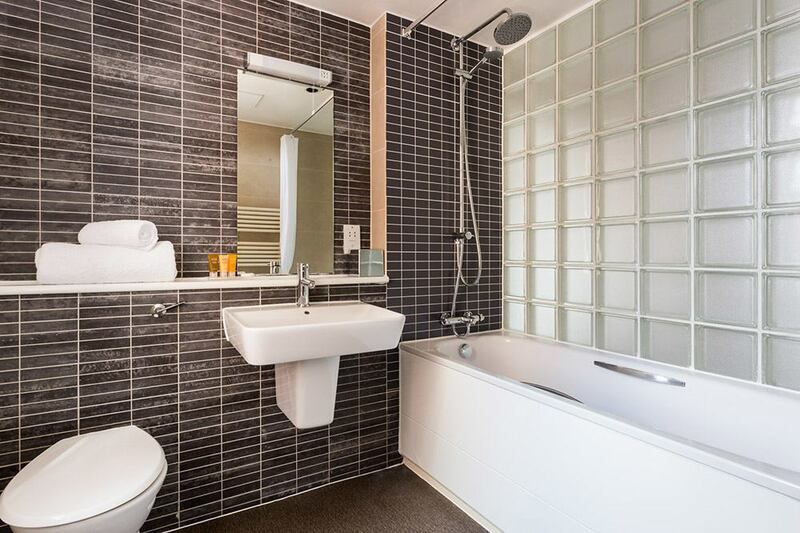 Very reasonable serviced apartments and really nice staff. Thank you Dolphin House and Check-in-London. Excellent hotel - a home away from home..
"We reallu enjoyed our stay - family weekend with 3 apartments. I booked early and specially asked for the 3 apartments to be in close proximity (very important) - you said you would try, but no guarantee. The studio flat was a long way from the other two, which spoilt the ambience of our stay. The lighting in all the apartments was very poor - particularly the lounge areas wher you needed good light for reading - need to install better wall lights in the right places and dimmer switches to be able to vary the mood. Also, lights by the beds should be better focussed for reading in bed. . "
"The photos on the website is not the reflection of reality. The apartment is smaller than I expected and the kitchen is tiny , I could hardly fit in .. "
We thouroughly enjoyed our stay at Dolphin! . We asked for washing machine in apartment - they obliged. Free laundry on site anyway though. Small shop on site. Close to two bus routes, which take you to some London sights. Also takes you past large Sainsbury market. Easy walk from Pimlico. We did it with suitcases. Superior linen and bed. already recommended these apartments to friends and family, love clean spacious apartments in a brilliant location. We loved the location. Asked for 2 kings, got 1 king and a double. The door on the kitchen was spring loaded and we all ended up with bruises. We opened the window in bedroom one night, only to discover the room filled with smoke as it was above the entrance door where everyone smoked. Clean & a comfortable. Well-located. The appartment and location were fantastic.The resturant and its staff we great. The stores inside the complex were a great convience (these included, newsagent, super market, pharmacy and fruit stall). Large appartment and living spaces, separate bathrooms for each bedroom was good. unfortunatly, stay soured by a lift that did not work for the five days we stayed at Dolphin House, we had a 3 year old and a 65 year old who has had knee replacement and this made it difficult. The room and location were fantastic, right in the heart of London..., we will be back. Dolphin Square. Generally, very pleased with our stay however our apartment was pretty much directly over the bar area where on one evening there was a lot of noise/music from a party which went on until 1am. After complaining the music was turned down a bit. We would happily stay again but would possibly ask for an apartment away from this area although we were told this was generally not the norm. Apparently one guest had invited 20 friends back to their apartment and when there were some complaints they were moved down to the bar area. Wonderful Hotel. We were impressed with the standards of the services through-out our stay. The flat was clean, tidy and well equipped for everything one could need. The staff was very helpful and attentive. The only downside is the location which has limited bars and restuarants around, but the tube station located a few meters away was more than enough to compensate. Great Value For Money. We had a great experience at Dolphin House for our week's stay. The location is wonderful:close to Pimlico metro and Victoria station, walking distances to many grocery and wine stores, restaurants, the Tate Gallery and the Thames. The facilities are great too with a fully equipped gym, good sized swimming pool, hamman and sauna as well as restaurant on site. The staff were friendly and helpful. Would highly recommend this as an alternate to any hotel in London. More space and services than I expected. Good apartments. Fantastic!. Great place to stay - clean, comfortable and conveniently located. Only downside was lack of a kettle and milk upon arrival in our room! Excellent Stay And Service. Our stay at the Dolphin was excellent. The apartment was in a great location, large, well furnished and serviced regularly. The unit was virtually sound proof from outside noise and hotel noise. The staff was friendly and accommodating and when we had to lengthen our stay, they made it possible on short notice. The supermarket downstairs assisted us having the things we had "run out" of, without going to the large grocery store until it was convenient. The washing facilities were very handy. The only disappointment was the pool - it was a private gym and spa so there was one lane we could access as guests of the hotel. The rest of the pool was cordoned off for lane swimming and swimming lessons. We would be happy to styay there again. Almost Perfect. Everything was fine, just couple of subjects to improve, the complex restaurant does not match with the apts service level, at the apt, the table was too small for 4 hosts and main bathroom window was opened locked which made bathroom sometimes a cold place. Deeply Disappointing. We stayed at Dolphin House for the Olympics and I have to say it was the only disappointing thing about our whole Olympic experience. Issues such as the particulalry noxious odour on the street outside, the flooding of our apartment by the cleaner and the original handling of that situation (they locked us out of our room so that we would have to schlepp down to reception to find out what the problem was rather than be confronted with the sight), the fact that cleaning did not include washing up, the fact that despite there being a dry cleaner on site who charged reasonable rates, the rates for room serviced laundry were extreme, the fact it was cheaper to buy an entire month of Wifi access (65) than two weeks, the fact we had to pay for wifi at all given that they had put a 17 night stay minimum on our booking (we were not and did not stay for that amount of time), the fact the pool was rammed so despite being one of the main reasons we booked Dolphin House we never used it, the lack of amenities (only shampoo, body wash and soap) meant I had to go out and buy stuff that I have taken for granted everywhere else I've stayed, the fact that it took 4 goes of running the bath before the water went clear as opposed to brown, and the bath towels were tiny (and no robes). The upside was that without us asking they did give us one night free as an apology for the flooding issue, but don't forget, it was a free night to them anyway as we weren't staying the full stay. As our schedule was jam packed solid whilst we were there we didn't have time to take up these issues with the hotel (one of the reasons we were so put out about being locked out of the room after they flooded it was it was time we didn't have and we ended up being late for our evening plans, not to mention the room smelled horrible after that!) But we've stayed at other serviced apartments in London before and this was by far the worst. Excellent!. 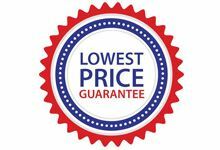 Excellent service and professional people - very good value for money! Good, But Some Ideas For Improvement. This is a good location. I like the room, furnishings etc. what what have made it great would have been my dishes/plates being washed and room service from the bar and grill. Happy Stay At Dolphin Square. We had a very good experience at the Dolphin Sqyare Apartments. The staff was extremely helpful and the accommodations were quite comfortable. We were there during the Jubilee celebrations and were pleased to have such easy access to the Underground also, which was only a couple of blooks away. 2 Bedroom/1Bath. The unit was in a good location. It was clean. My son thought the bed was comfortable. They kept our luggage past checking out till we headed to the airport. Only complaint is the fitness center is limited in its hours. Excellent Service. This company bent over backwards to find me real quality accommodation at an extremely competitive price. Better than the three others I approached and a result. Good Priced Apartments For London. Our flat seemed pretty clean and fresh and we had no problems as such during our stay. Good priced apartments for London. Really Liked Our Apartment. We really liked our apartment and thought it was very reasonably priced. we were also particularily pleased to all stay together and had enough space for luggage and things. Although we did not have enough time to enjoy all the facilities offered in the block, we still found it to be a nice retreat tucked away in the heart of London. Highly recommended to all. Very Well Managed Apartments. we were upgraded to a deluxe apartment which was quite nice and had a great view. the apartment itself was well laid out and neatly presented. the building was very well managed and had some beautifully manicured lawns. a refreshing change from dingy hectic hotels that i have stayed in previously. Excellent Short Term Accommdation. this complex of apartments was quite close to many attractions and provided a very convenient base for our short trip to london. top quality furniture and decor and very good range of onsite facilities. Really Nice Stay At The Dolphin House. we had a really nice stay at the dolphin house. the rooms were very well mantained and the maid cleaned the apartment regularily. the sstaff were accommodating and the building had things like a swimming pool and convinience store which i though was an added bonus. did not the fact that internet was not included. Cheaper Than Other Hotels. Great location and cleaned apartment , much cheaper than some other hotel apartment in the area. Only issue i had was the apartment was alittle hot and the fans provided did not help too much. Ideal For A Short Holiday. these apartments really ticked our boxes, the check-in was open till late and everything was within a short walk away including the tube. we could walk to the thames river and tate britan and we had such a lovely view of the gardens. there are also shops onsite which we did not explore but it was nice to know they were there incase we needed anything. superb choice. Tidy And Peaceful Stay. booked a studio for my short stay in london. the area was a nice peaceful residential place with shops and restaurants around the corner, quite nice. The apartment was tidy but had a very small kitchen area. Great Stay In London. 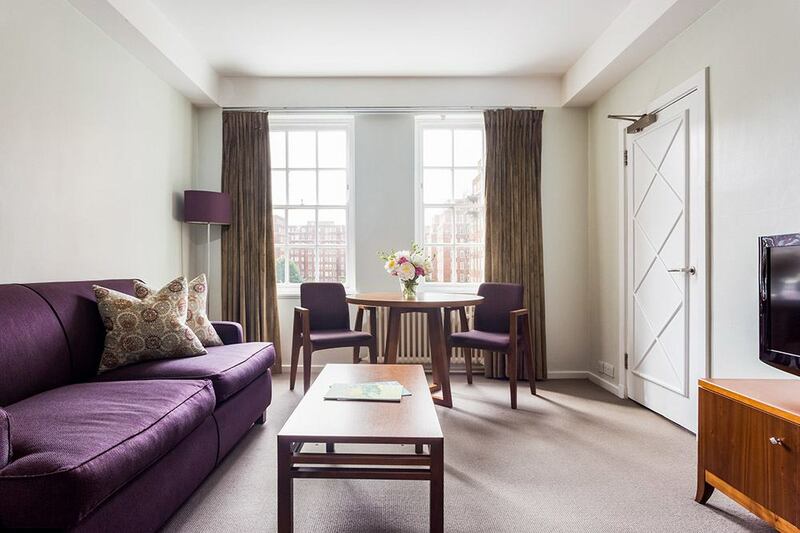 these hotel style flats are just what we were looking for, although we would have prefered to be closer to central London, the train ride was only 10 mins to piccaddilly circus and we had a great stay during our visit to london. The Bed Was Really Comfortable. the bed was of a really good quality and that is really important to me so Iwas very pleased with my stay. the kitchen could do a little updating but overall great property. Good Onsite Facilities For London. Ive stayed here a few times already and had a good experience each time. Its like a private development and I like all the facilities on-site. Very well furnished apartment rental. All the staff offered a welcoming and friendly experience. Overpriced But Good Location. Pretty over priced for a poorly stocked kitchen in terms of cooking pots/fry pans etc. The building felt a bit run down the furnishings we modern but nothing flash. The cold tap in our kitchen didn't work for most of our three week stay despite calls to reception and visits from maintenance.No laundry facilities in our apartment which meant a trek to the poorly maintained laundry in the basement (approx 50% of the washers/dryers would be working on a given day).Location was good though with easy access to the Victoria line for quick tube access to the rest of the city. Bar and grill on site was tasty but expensive. Slow Internet. The Internet was a bit slow. The bathroom was very cold as there was no heating. There were a couple of maintenance issues - the bathroom sink plug did not work and the shower broke - but both were fixed within 48 hours. The staff were excellent and very helpful and professional. Think This Is 3Rd Time I Have Booked With You. . Think this is 3rd time I have booked with you. Customer services and range of facilities was very good. Included breakfast was disappointing but package was still good value. Really High Quality Serviced Apartment . 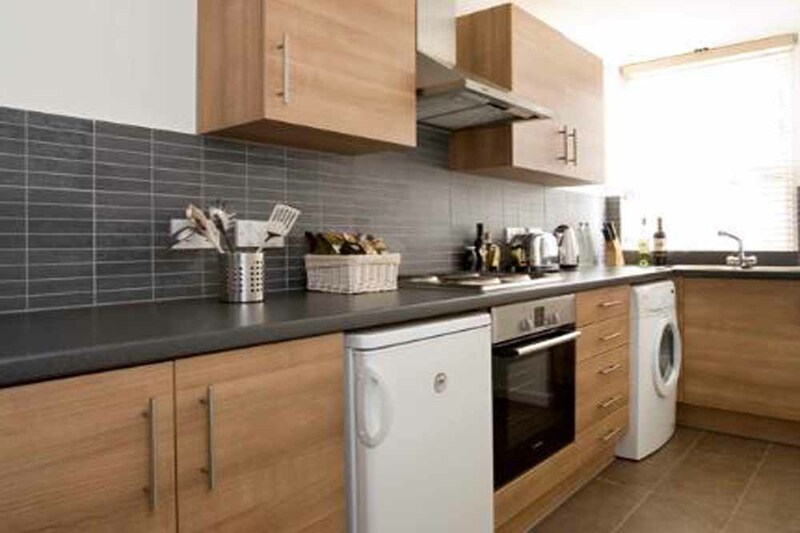 Really high quality serviced apartment in London Zone 1 with all modern amenities. Very spacious apartments (considering the location). 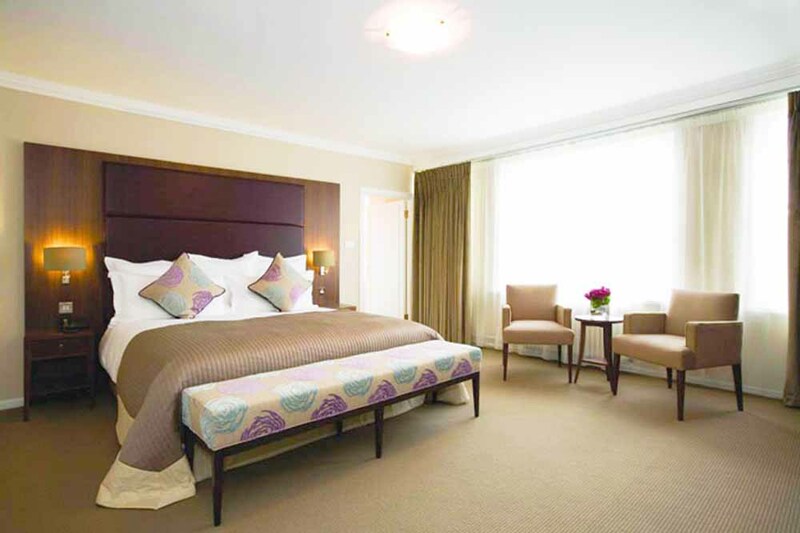 Just 2-3 minutes from PIMLICO underground station and 1-2 minutes from PIMLICO bus stops. Shopping centre has supermarkets and a grocery store where you can buy all you need from food to wine etc at reasonable prices. A downside to our stay is.. the kitchenette in the last room (507) we stayed had no extractor fan for cooking fumes. Like A Hotel. Our apartment was very comfortable and convenient with nice decor. The building is like a hotel with great facilities like a reception, swimingpool,gym and a restaurant. 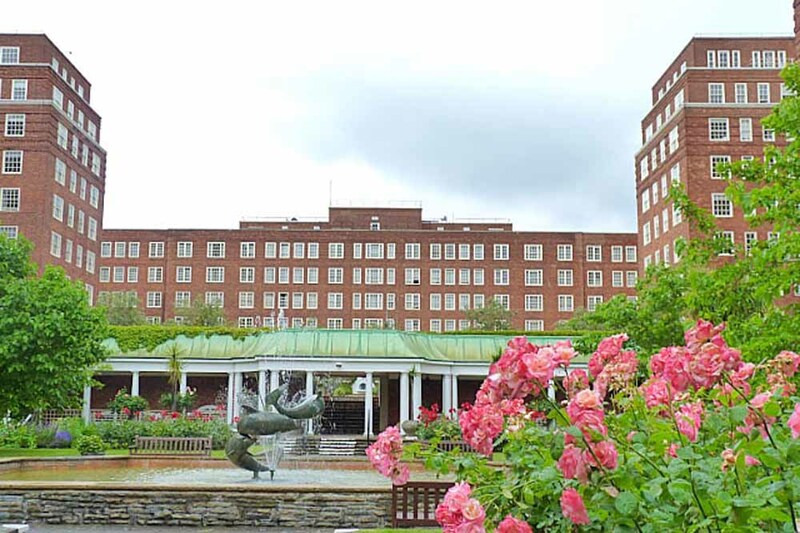 Nearby area is nice with restaurants and grocery shops and pimlico train station is closeby. We had an issue with the hot water on one day, but it was quickly repaired. Our Second Visit, A Good Stay Again. We stayed in the dolphin one year back and were so happy that we decided to stay here again this year during our two week holiday in London. We found it difficult to find a better deal and second time around we still enjoyed our stay and had an overall smooth experience. We were lucky to get the breakfast included in the price this time around and also used the facilities like pool and gym. A top london accommodation in my eyes. Very Satisfied. I stayed in a two bedroom apartment at the dolphin house apartments in june 2011. The apartment was more spacious than other places we had experienced in London and also came with daily cleaning which was great. My family (wife and children) found it very comfortable with two bedrooms and two bathrooms. The location was convenient although not very central. We could walk to the River Thames and Tate museum but other than that you have to take a taxi or tube to see anything else. The breakfast selection was nice and the building staff were friendly and helpful. Recommended for families. Great Apartment In A Nice Area. Dolphin Apartments were a good choice for our family. We liked the apartment, it was comforable and clean and close to tube station. Comfortable Stay With Good Building Facilities. We stayed at the dolphin for eleven days and found it quite enjoyable. The beds were unbelivably comfortable and the apartment was overall clean and spacious. The kitchen(ette) did seem small but then again we only ever used the microwave and fridge and ate out most of the time. We also used the gym and swimming pool facilities which were great and included in the price. We had read all about the plane noise but did not find it to be an issue with our stay. Real Home From Home. Booked our stay through check-in-london and were very pleased with the prompt service, thank you guys, The Dolphin House worked out perfect for our needs. Check in can be improved, we arrived after a long flight from Sydney at 09.30 hrs only to be reminded check in time is 3pm. After making a fuss at reception another member of staff seemed more understanding a told us to leave our bags they called housekeeping we got into our room 30 minutes later. While Iunderstand check in time is there for a reason, they could have alteast kept our bags? in the first place. The apartment building and adjoining facilities are very clean and well maintained everywhere we went, the actuall apartment was warm with lovely bedding and a nice living room to relax in. The lighting in the living room can be improved other than that a great place to stay and excellent value overall. Enjoyed The Dolphin House. I was attending a few events near Green Park and chose to stay at these apartment for their close proximity. Check-in was smooth and the female receptionist gave me a good explanation of the facilities on site. After getting the lifts I had a good walk to my room (end of the corridor?) and found the corridors somewhat sterlie but clean. The apartment itself was spacious for a studio and well laid out - a small kitchnette in one corner, nice tv unit which seemed to be very complicated for my understanding. A phone call to reception to find out how to figure this out and a gentleman came up and helped me promptly. Good stay overall. Pleasant Stay. I was booked into Dolphin House by a colleague in July, which I must say is in a very good location for Westminster and St James, quiet and peacefull but not too far out. I enjoyed my stay in the deluxe apartment which has a spacious living room and a very comfy bed. While the gym and pool were a great benefit I found at times the place very busy especially on weekdays. Since I was staying for a month the supermarket and shops downstairs became very handy but venturing out in the local area I found a very nice italian deli. Overall the staff are friendly and I would definetly stay again. Brilliant Stay. We stayed at the dolphin for 8 nights during our break in London, Check in was smooth and the staff were plesant. Our room was spacious and the outdoor gardens looked beautiful on a sunny day. My only concern initially was the location but being 2 stops from Mayfair was not that bad afterall. Dolphin House Apartments. We thoroughly enjoyed our stay a the above apts. They were close to Pimlico underground station. The only comment I would make is that the kitchen was extremely small. Only one person could comfortably use it at one time so cooking a meal would be a problem. Other than that it was very spacious and with daily maid service kept very clean and tidy. Unfotunately the apts are situated on the flight path to Heathrow so double glazing or air conditioning would be beneficial.Booking though Check-in-london.com could not have been easier and the service very efficient.